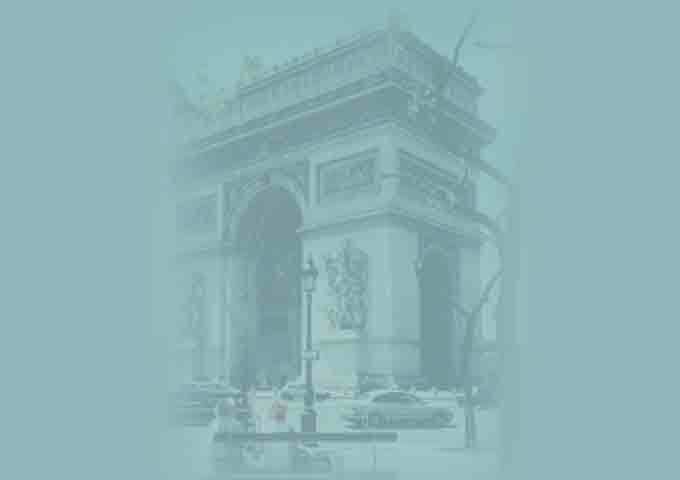 In 1969, Georges Pompidou, then President of France, began this project as the "temple devoted to art". The building has become the most avant-garde building in the world. Through a transparent facade one sees colorfully painted pipes and ducts which crisscross the building. There appears to be no interior walls and a grand feeling of space is created. 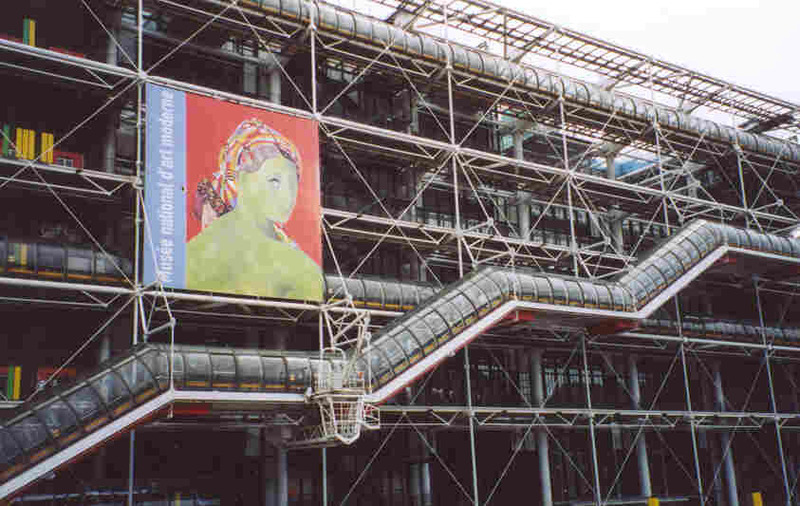 All this has made the Pompidou Center one of the biggest attractions of Paris. For a city who hated the building originally, the French now lovingly refer to it as "Beaubourg". The building is so radical that it almost over-shadows what is inside ... the MUSEE NATIONAL D"ART MODERNE with one of the worlds most important collections of modern art. If you don't visit for the art, do go for the open square in front of the Pompidou ... see the lively "street performers" and then walk around to the right side for the amusing and humorous Stravinsky Fountain. The architects (Richard Rogers and Renzo Piano) have eliminated any trace of elegant facades, exposing the building's inner mechanics, while disguising the underlying structure. The interior itself has no fixed walls, so that temporary dividers can be arranged to meet any need. This stark utilitarianism expresses a populist sentiment current in France. Yet it is enlivened by eye-catching colors, each keyed to a different function.